Stunning acrobatics. 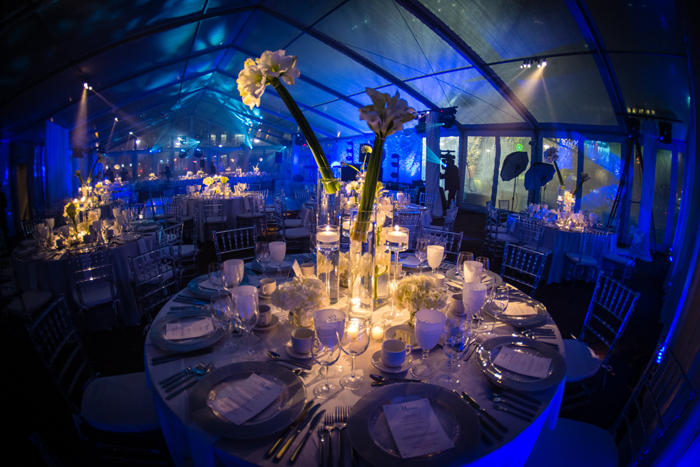 Brilliant luminance. 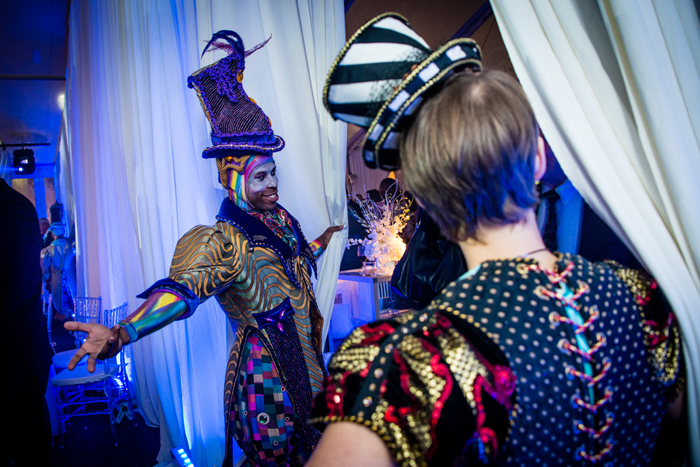 Cirque Imaginaries mingled with guests during the cocktail hour before exhibiting dazzling feats of contortion, shape shifting, and cube spinning. 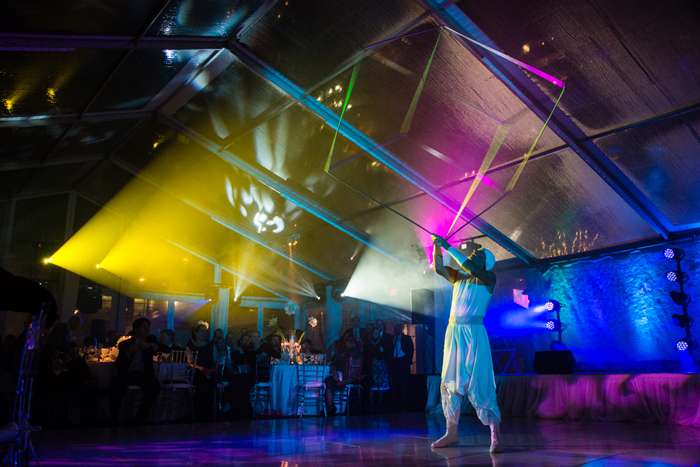 The troupe of performers were illuminated by an array of lights that changed throughout the event. 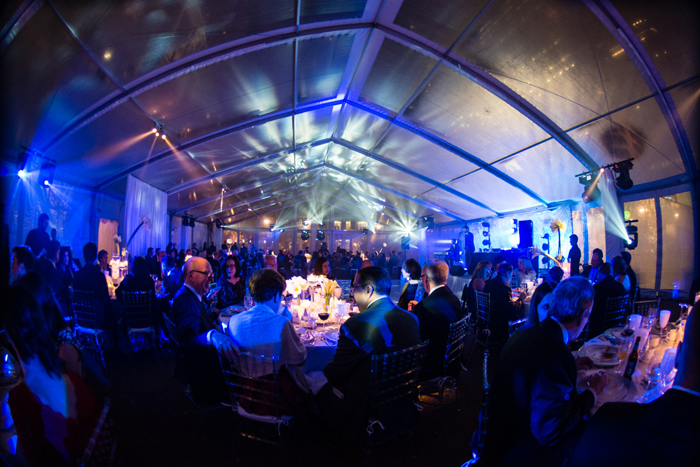 A clear-roofed tent, sparkle bar, clear high top tables and chairs emphasized the sheer, translucence of the event’s palate. 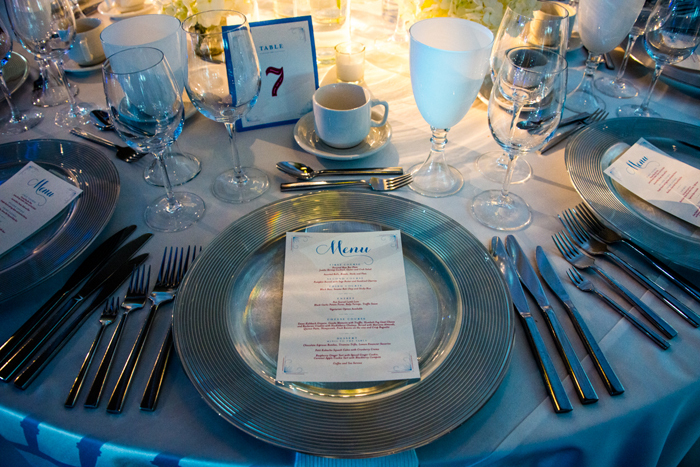 Whimsical monochromatic centerpieces and white tablecloth décor provided a canvass on which the lights reflected. 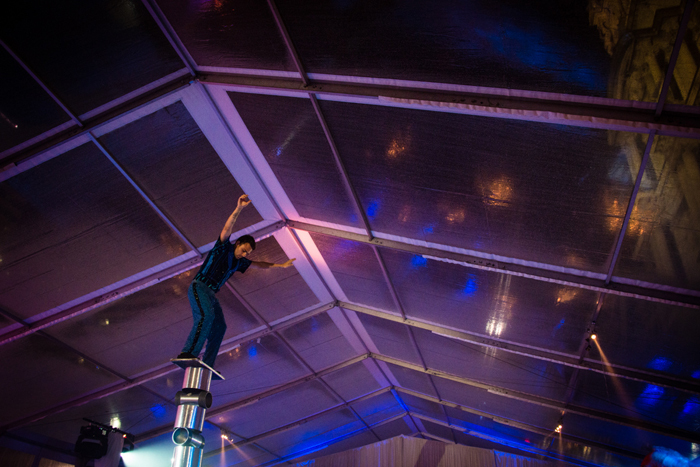 Blending soulful sounds into the evening, a saxophone duo added ambiance to for the illuminated acrobatics.